In 23 times table we will learn how to read and write multiplication table of 23. 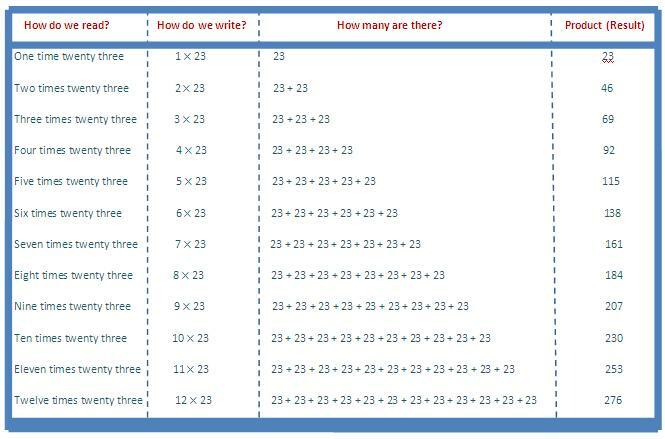 Click Here to download the chart of 23 times table and then print it out. This is the easiest way to follow 23 times table in the chart.